We know that finding the right holiday gift can be challenging, so here are some ideas for your dark-sky-loving friends and family. And of course, there are no rules stating you can’t treat yourself, too! 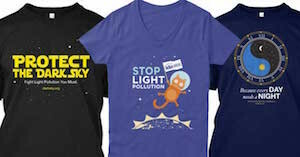 We have dark sky t-shirts, sweatshirts, bumperstickers, coffee mugs, key chains and much more! 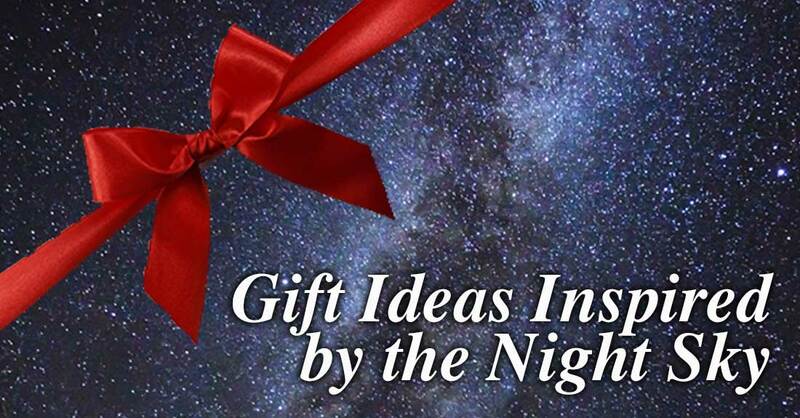 Not only do they make excellent holiday gifts, they help support IDA and spread the word about dark skies all at the same time. 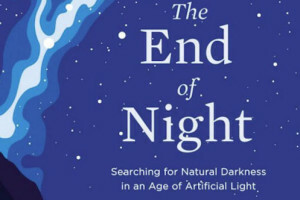 In this artful blend of environmental and cultural history, author Paul Bogard manages to make a book about light pollution pure reading ­pleasure. As he travels the world looking for dark spaces that best reveal the night skies, Bogard considers our affinity for artificial light, the false sense of security it provides, and its implications. 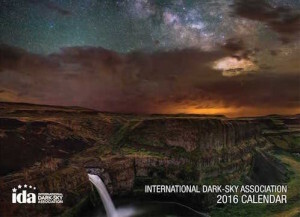 Donate $50 or more to IDA and get this beautiful calendar of spectacular starry night photos from IDA Dark Sky Places taken by world-renown photographers from across the globe. Want more than one? Contact Susan at susan@52.10.225.191. To get your calendar before December 25, be sure to order by Wednesday, December 14. A stunning coffee table book by photographer John Ashley that’s also an introduction to dark skies. 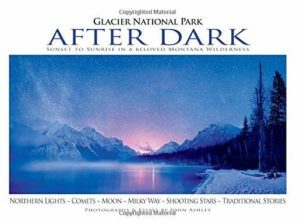 When purchased through the Glacier National Park Conservancy, proceeds help Glacier National Park park implement dark sky friendly lighting that is needed in its bid to become an IDA International Dark Sky Park. Throughout much of the world, night skies are growing increasingly brighter, but the force that protects the remaining naturally dark sky, unpolluted by artificial light, is the same that saves its ancient trees—isolation. 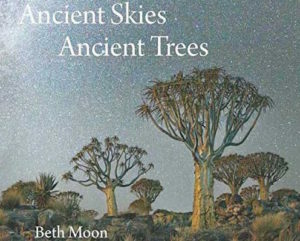 Staking out some of the world’s last dark places, photographer Beth Moon uses a digital camera to reveal ancient trees, constellations, nebulae, and the Milky Way, in rich hues that are often too faint to be seen by the naked eye. Why spend and time and energy running around looking for a gift that may just end up on the shelf? Memberships to IDA not only make a great holiday gift for loved ones, they also provide important financial support to our programs and work. Contact Susan at susan@52.10.225.191 to get a gift membership. Be sure to order by December 14 to receive it before December 25. 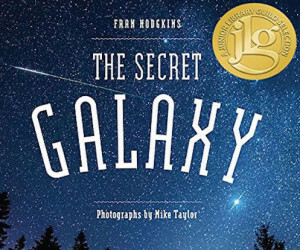 A lyrical narrative voice (the voice of the Milky Way galaxy itself) is augmented by sidebars filled with amazing facts and insights about our galaxy, and by extension, our universe. Features Mike Taylor’s extraordinary night sky photography and breathtaking NASA images of the births and deaths of stars and galaxies. *If you are an Amazon customer, you can choose to purchase items through Amazon Smile and direct a percentage of the proceeds to IDA or another charity of your choice.